My blog tour is almost over and I had so much fun catching up with old blogger friends, meeting new ones, and of course interacting with my readers. Again, thanks so much to these bloggers for taking the time to host me on my tour! Thank you so much to these marvelous bloggers who have taken the time to work with me! Happy President's Day to all. Abe Lincoln was always my favorite president growing up; I loved his mournful stare and lanky frame and his utter commitment to stop injustice. A very warm thank you to these bloggers for taking time out of their busy weekend schedules to feature me. Thank you so much to all the bloggers who took the time to read and feature my book this week. I couldn't do this without you. 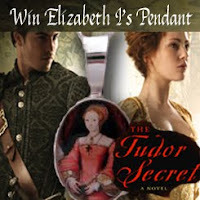 The audio version of THE TUDOR SECRET, from Blackstone Audio, is now available. It features a marvelous narration by actor Steve West, who truly captures the voice of Brendan Prescott, the book's lead character. To purchase a download and/or CDs, plus hear a sample, click here. Thank you to Blackstone and to Mr West for bringing this book to life! Plus, I just have to say: **love** this cover. It captures the book's feel perfectly. A warm thank you to these bloggers for taking the time to host me on my tour - and a very special thank you to Lizzy at Historically Obsessed. Stay tuned to Lizzy's blog as we'll be hosting a giveaway as well. Thank you so much to the bloggers who took the time today to host me on my tour! The Maiden's Court (review and book plus Elizabeth I pendant giveaway) For giveaway, click here. A warm thank you to these bloggers who took time out of their busy schedules for my tour. And thank you to everyone who came to my book launch party yesterday in San Francisco; we had tons of fun! To see photos of the event, please visit me at Facebook. And don't forget, there is another giveaway still going on at Book Reviews by Molly. Thank you to these bloggers for taking the time out of their busy schedules to host me! Thanks to the bloggers who have featured me today, and a special thank you to Claire of The Anne Boleyn Files. Today, you can read two interviews with me about THE TUDOR SECRET. A warm thank you to Gareth Russell of Confessions of a Ci-Devant and Kathryn of Historical Fiction Notebook for hosting me. Also, I'm very excited to offer you the official book trailer! Kris Waldherr of Arts and Words is responsible for creating this marvelous interpretation of the novel. You can view this video and others of mine by clicking on the thumbnails on the right hand side of this blog. THE TUDOR SECRET is the last thumbnail. Enjoy! 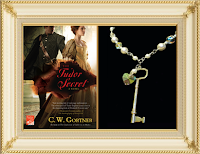 Yesterday and today, THE TUDOR SECRET has been reviewed at the following blogs. Thank you to the bloggers' for these marvelous reviews! Today, you can find a guest post on Elizabeth and Robert Dudey, and a giveaway, at A Cozy Reader's Corner Reviews. 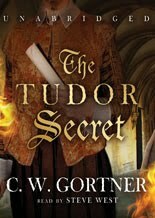 Today is publication day for THE TUDOR SECRET! And my official blog tour begins. I'm very excited to be visiting some new blogs as well as returning to some favorites; you can see my schedule on the right by clicking on my tour banner. In addition, I have a few unscheduled stops, so just check in here daily if you want to follow me. Thank you to all of you who have bought my books (or are thinking of buying:) I hope you enjoy my latest one as much as I enjoyed writing it.